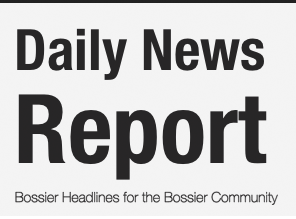 The Bossier Parish Community College Cavaliers swept a baseball doubleheader against the Louisiana College Junior Varsity 10-0 and 5-3 in Pineville on Monday. Brannon Pope, Casey Hyde and former Benton star Will Hine combined on a no-hitter with 13 strikeouts in Game 1. Adrian Minjares went 3-for-4. Bobby Lada had two hits, including a double. Hudson LaBorde went 2-for-2. Hunter Shaw went 2-for-3 with a double and three RBI. Kyle Jones went 2-for-3 with a home run and and three RBI. Andrew Mills had two hits, including a double, and two RBI. LaBorde hit a home run and doubled in Game 2. Minjares went 2-for-3. Lada and Kanin Dodge both doubled. Waggener Davidson, Conner Martin, Trey Thompson and Jacob Gilcrease combined on a three-hitter. BPCC was swept by Navarro College in a three-game Region XIV series 12-1, 12-1 and 7-1, Saturday and Sunday in Corsicana, Texas. BPCC (17-8, 3-6) returns to action Thursday. The Cavs begin a three-game Region XIV series against Paris Junior College in Paris, Texas. Games 2 and 3 are Saturday at BPCC.